Next to the death of a spouse, parent, or family member, the most emotional thing we all do is look for a job. The mere thought of being rejected, lied to, or forgotten pains us. Often during this process, our egos play havoc with our emotions. At times, we might be prideful, thinking we deserve a particular position. Other times, we might sell ourselves short, losing sight of all our unique qualities and gifts. Part of what makes this process an emotional roller coaster is the dreaded resume. Your resume forces you to reflect on your life accomplishments and milestones, revealing your relevance to potential employers. It is a snapshot of your professional life. Yet America's #1 Recruitment & Placement Specialist, Tony Beshara, claims that resumes are overrated. In an ironic turn of events, he devoted his newest book to the topic of developing powerful resumes. Tony will discuss this book, "Unbeatable Resumes" in an interactive, one-hour conversation with William Arruda, founder of Reach Personal Branding. 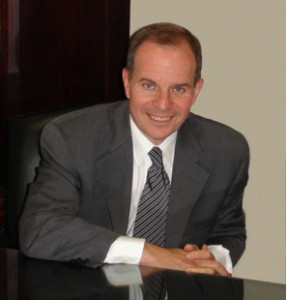 Tony Beshara is the owner and president of Babich & Associates, associated in 1952. It is the oldest placement and recruitment service in Texas. Tony has been in the business of finding jobs for just about every kind of professional since 1973. Tony received his Ph.D. in higher education from St. Louis University in 1973. His first book, "The Job Search Solution -- the Ultimate System for Finding a Great Job NOW!" was the impetus to create an online program, "The Job Search Solution." Tony's second book, "ACING the Interview" answers almost any question regarding interviewing or being interviewed. His new book, "Unbeatable Resumes," discusses resumes for the present, unique employment market.